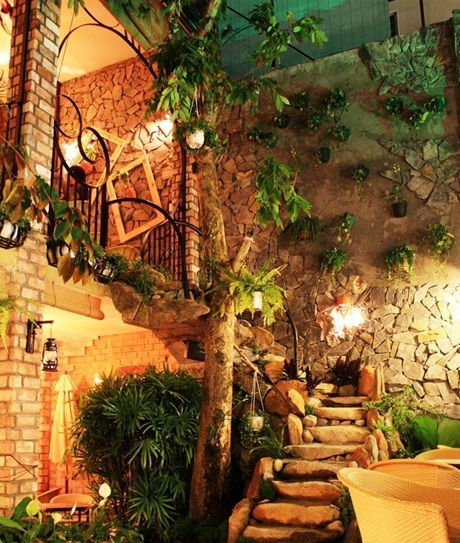 Tram is not only a coffee shop but also a place where you can find the tropical world in the middle of Saigon. The coffee shop offers an oasis of calm in the busiest city and serves coffee, cake, drinks and food. You make your way outside seating then put yourself into this old colonial house walking on stones, above fish peacefully swimming and under the canopy of trees. 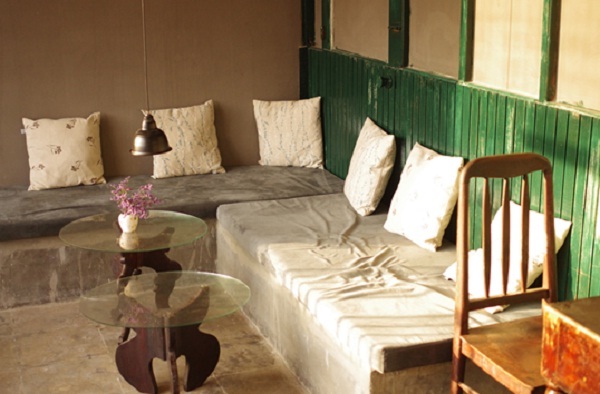 Now, you can feel free to choose from the different ambiance to relax: terrace or living room. If you go to with your friend group, you can even have a room for yourself. Especially, you can swap the roar of motorbikes for the trickle of water and rustle of leaves. Thoai Vien coffee shop is located at Nguyen Van Thu Street, District 1, Saigon which is one of the popular garden coffee shop in Saigon. This place is on a big property with trees, waterfalls and ponds, so it is a nice way to sit outdoors without the need for air conditioning. Moreover, you will have a chance to listen to many popular songs which are covered by acoustic band at night. Mocking Bird coffee shop is one of the most fantastic coffee shop in Saigon which is located on the 5th floor of Ton That Dam Apartment, which is also a famous apartment in Saigon. This place will challenge you at the first time by its mystery and unique. You will see an unexpected ‘eagle’s nest’ with views over the ‘soviet-gothic’ architecture of the State Bank of Vietnam, which itself looks as though it’s been abandoned. The space of Mocking Bird coffee shop is just about chaotic enough to feel lived in. 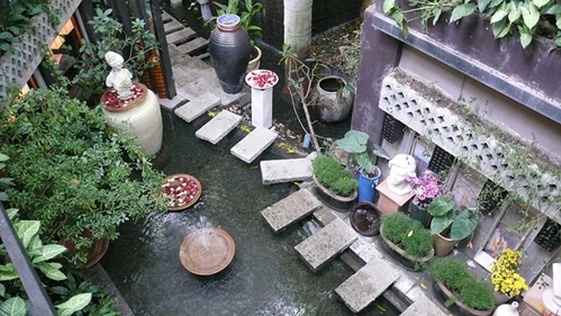 Hideaway coffee shop is one of the most attractive coffee shops in Saigon because of its kind. 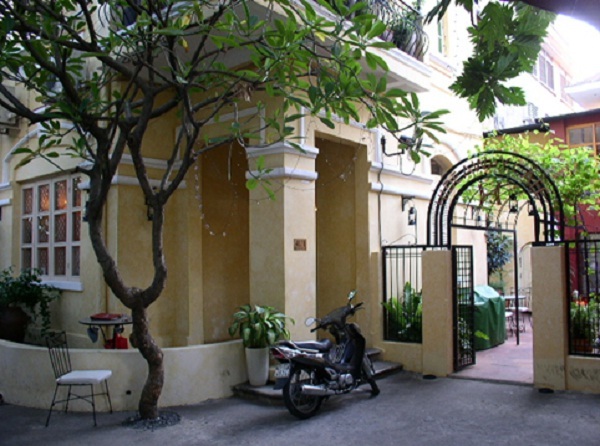 Hideaway coffee shop is inside in a canary yellow French villa, Pham Ngoc Thach Street, District 3. As its name, you can’t find it easy even though it’s just one block from Turtle Lake because is located down a small alley. Tables are at the front which is more interesting than inside with art hanging on both floors and bare floorboards. If you don’t mind the hot weather, take a seat on the second floor balcony for a lovely tête-à-tête. In case you fancy a bite to eat, their breakfast menu is excellent and the seafood rocket pasta is an enjoyable lunchtime dish. This place is a real hideaway in the hustle and bustle of Saigon with comfortable couch area, nice food and friendly service. This list contains fantastic coffee shops in Saigon with their amazing interior design, lounge worthy vibes, beautiful views and all with free Wi-Fi. Of course, it’s not just the delicious coffee that makes Ho Chi Minh’s cafe scene so rich and vibrant.